If you live in Tampa, you may have noticed the wave of development going on. From facelifts to the Veterans Expressway and downtown, to the completion of the long-running Riverwalk project, Tampa is currently more beautiful than ever before. Now, in an effort to continue that development, city officials have turned their attention towards the historic West Tampa neighborhood. The planned revitalization of West Tampa is perhaps the most ambitious endeavor yet, according to a report by the Tampa Bay Times from December. A rough reputation and the recession left West Tampa behind in development, an oversight the City Council and Mayor Bob Buckhorn plan to fix. The city is revamping housing and recreation in the area, hoping to give the area a new identity. Private companies have followed suit, opening a bevy of restaurants and stores to meet a new era of demand. It might mean changes for you. One of the marquee projects coming out of the massive undertaking is the Julian B. Lane Riverfront Park’s facelift. Long neglected, the park appeared an archaic patchwork of rotundas, dirt mounds, and haphazardly placed sports facilities. The current vision for the park brings it into step with the amenities popping up on the opposite bank of the Hillsborough River. Currently, the park is mostly bulldozed over, but redevelopment is on the horizon. The new design will feature vastly improved water access and several green spaces for football, concerts, and other activities. 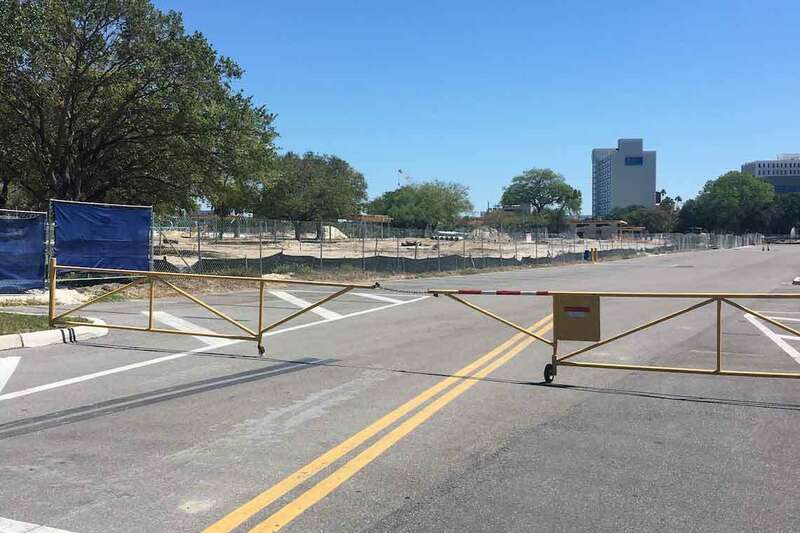 The park’s prime location — across from the Straz Center and near the University of Tampa and Berkeley Prep — will invigorate the neighborhood, and further development will likely follow. Redevelopment plans in 2016 highlighted West Tampa’s weak infrastructure, high crime rate, and lower median income compared to the rest of the city. But a bout of investment is hoping to change the image of one of Tampa’s most prominent neighborhoods. Nestled between Westshore Plaza and downtown Tampa, West Tampa provides the city’s booming workforce with rest and entertainment only minutes away from some of the city’s prime attractions. Longtime neighborhood attractions like Miguel’s Mexican Seafood & Grill and Alessi Bakery mingle with a growing area of nightlife, shopping, and recreation. Developments on Kennedy Boulevard, nearby Hyde Park and SoHo, and the waterfront make West Tampa’s private businesses promising entertainment spots. Tampa also plans to revamp sidewalks, parking, roads, and more to attract visitors and residents to the West Tampa neighborhood. New homes, businesses, and opportunities for entertainment and relaxation may grow, but the city is committed to retaining the neighborhood’s identity. High levels of home ownership, an emphasis on the area’s Cuban, Spanish, and Italian roots, and ensuring many of the current residents can stay in the area are just some of the city’s priorities for the neighborhood. Some businesses with offices elsewhere in the city are already opening new branches in West Tampa in order to cater to the specific needs of the neighborhoods current residents. West Tampa has grown from its beginnings as a cigar rolling district to a burgeoning residential and restaurant haven. And the city’s development plans for the neighborhood should open it up to an array of possibilities. Morgan & Morgan has opened a West Tampa office to better accommodate the growing area and its longtime and future residents. Is Civil Asset Forfeiture Law Misused and Abused?